I am like a kite in the hands of God. She runs with me holding the string and blowing Her sweet breath into my body like bellows to fire. Ellen Porter was a member of the Benedictine Sisters of Erie. 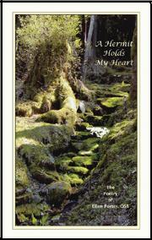 Her previous book of poetry, A Hermit Holds My Heart, was published by Benetvision.